There’s a new studio in town, and it’s Mythical. The freshly minted Mythical Games, based in Los Angeles, is aiming to revolutionize in-game economies with the help of blockchain technology, and the company just landed $16 million in Series A funding led by Galaxy Digital’s EOS VC Fund, along with significant participation from Javelin Venture Partners as well as DDC, Fenbushi, Noris, and OkCoin. The founding team at Mythical has plenty of experience working on major franchises, such as Call of Duty, World of Warcraft, Guitar Hero Live, Marvel Strike Force, Skylanders, and others. CEO John Linden was most recently the President at Seismic Labs (acquired by Niantic) and he’s served as Studio Head at Activision. He’s joined by CCO Jamie Jackson (also a former Studio Head at Activision), Head of Blockchain Rudy Koch (former Senior Producer at Blizzard), and CPO Stephan Cunningham (formerly Director, Global Product Management at Yahoo!). 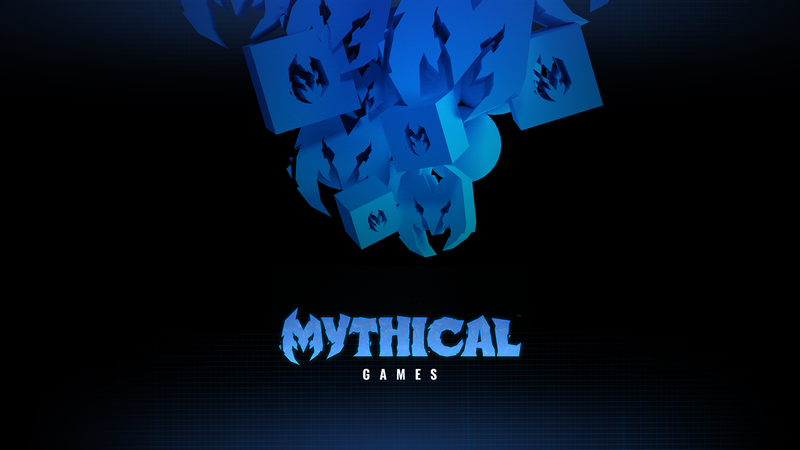 In an interview with GameDaily, Linden explained that Mythical will work partly as a game studio and partly as publisher, teaming with a variety of developers who can scale up their in-game economies using Mythical’s platform. “We will bring games to market as a primary party but we will partner with experienced game and art studios to actually build these games with us,” Linden said. “Player-owned economies can mean different things to different game developers,” he continued. “At Mythical’s core, our goal is to provide the economic engine built directly into Unity and Unreal for game developers to define what player-owned economies mean in their games. Player-owned economies can be as simple as using blockchain technology to tokenize game objects (race cars, swords, or characters), allowing players to own those game assets and sell them on to other players in or out of the game. If you’ve read this far and rolled your eyes a few times, that’s understandable. There’s been an abundance of hype around blockchain technology over the last year, partially tied to the meteoric rise and fall of cryptocurrencies like Bitcoin. Linden gets the skepticism, however. Mythical’s first priority is making great games. “I completely understand [the collective eye-roll],” he said. “There are some blockchain-based gaming ideas floating around [that] in my opinion sound interesting on paper but really won’t make a difference to the average player or if they do find a player audience… it will be a very small and niche audience. Universal game tokens, fully decentralized gaming driven 100% by the community, and item interoperability where an item can magically and seamlessly move from one game to another falls into this category for me. To that end, Mythical is not looking to force any kind of cryptocurrency on players in its debut title (which has yet to be revealed). Online communities and even player/developer relationships unfortunately have been tinged with toxicity in recent years, as we’ve seen with the ArenaNet fallout. Linden believes that by giving players and content creators a closer connection with developers, some of this toxicity could potentially be avoided. “This is an ongoing issue with any multiplayer game or any community overall. We believe we have the ability long-term to give players a voice in the game as a creator and / or separately as stewards of the game brand, to help make sure the content coming into the games is right for the community (and possibly get paid for doing so as well). Blockchain technologies are deep in the concept of consensus and lend itself to helping manage toxicity at its core,” he noted. Mythical Games isn’t ready to reveal its slate of games just yet. The studio is looking to tackle both PC/console level games as well as mobile, but it would appear that mobile will be secondary. Succeeding in the overcrowded mobile world requires a different kind of approach. Linden also pushed back on the idea of triple-A versus double-A game projects, when we asked about project budgets. Needless to say, the bigger the budget, the bigger the risk, especially when it comes to new IP creation. Getting an audience to fall in love with a brand-new IP is a major challenge, so studios have to be able to mitigate risk. With Mythical’s Activision Blizzard pedigree, you can bet that the studio leadership is thinking about how to leverage streaming and esports, even if it’s not an immediate goal. And besides, you can’t “make an esport,” you have to make a great, competitive game that the audience elevates to the level of esport organically. Mythical’s approach to esports may prove to be very different given the blockchain influence. “We can’t give away all our plans yet but esports in some capacity has to be on nearly every developers’ mind in some way!” Linden affirmed. “I think fundamentally the idea of a digital team ownership isn’t that different than game object ownership. For now, Mythical is just ramping up. Until the company starts to reveal its product slate and demonstrates the nitty-gritty details of its player-owned economies, it’s difficult to say how successful this approach will be. The key, Linden said, is that this model is about augmenting what already works in the games business. “We don’t view blockchain and gaming as a revolution like others have declared,” he said. “Gaming isn’t broken; it is flourishing. We approach blockchain and gaming together as an evolution. We hope to play a role in contributing to these amazing set of tools, principles, and analytics, to allow game developers to explore new creative concepts as well as give power to players and content creators. Update: Mythical has now revealed its first title, Blankos, a casual multiplayer world styled like a giant block party. The company describes it as a “vibrant hub where friends can meet, go on scavenging hunts with pals, take on daily challenges, and eventually take part in global online mini-games and explore into other players’ block parties as well. There are numerous ways to design and customize your Blankos and party world to score points, and players will be able to buy, trade or sell their designs with other players to grow their collection.” You can watch the teaser trailer below.